Jerusalem's Old City skyline, Israel. This ancient mystical land possesses exquisite beauty, a rich and spiritual culture, and a history like no other. It will defy all expectations. Words by Liz Schaffer. And that’s Israel summed up. A place that’s self-aware, humorous, impossibly ancient and a little worried that would-be travellers tend to know very little about the country than what they gather from the news. It’s only once you look past the turbulent (and remarkably lengthy) political history that you see a place desperate to astound. Known as the land of Canaan in Biblical times and bordered by powerful empires, Israel has had a dynamic history. The Persian, Greek and Roman empires all left their mark while the European Crusaders fought here in between periods of Muslim rule. In more recent times the Ottoman Empire held control, and updated the architecture, until the end of WWI when the British government became the region’s protector. This ended in 1948 when the United Nations granted part of the land to create the modern state of Israel. 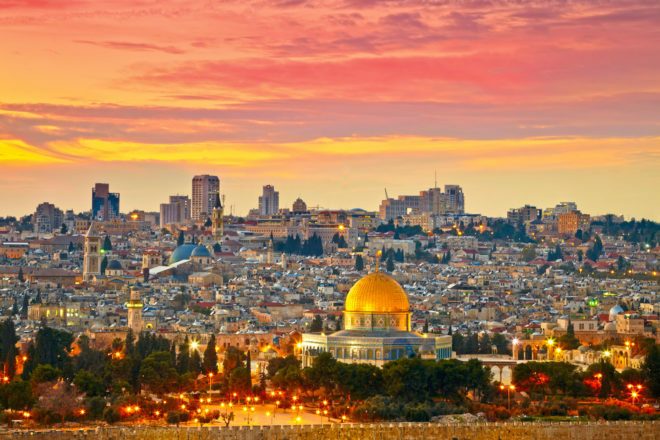 So, despite occupying a seemingly ageless corner of the globe, modern day Israel – home to 7.5 million people and a place of deep spiritual significance to over half the world’s population – remains remarkably young. While disputes surrounding land ownership continue, with the Arab-Israeli conflict making international headlines, Israel feels surprisingly safe. You may expect a strife-ridden country full of violence, fear and a population on edge, yet what you’ll discover is completely different. It’s a sophisticated, tradition-rich nation with plenty to offer and the ability to take its somewhat complicated existence in its stride. Although it may seem small (it’s only 15 kilometres wide at its narrowest point), Israel is eclectic, passionate and full of contrasts. It features soaring mountains and the lowest point on Earth, while boasting cosmopolitan cities and an ancient holy capital. With so much on offer, locals are right to point out that it’s impossible to visit only once. “Oh, you can do that next time,” is a phrase I heard almost as often as “of course it’s kosher”. Mystical and ancient, vibrant and new, Israel is more than just a news story. Tel Aviv is the innovative, beach-going baby of Israel. Founded by 66 families in 1909, this city is packed with galleries, gardens and boulevards and accompanied by a distinct holiday-like atmosphere. It’s also remarkably homely – possibly because, in the right light, it looks very much like a NSW coastal town. Despite its relative youth, Tel Aviv is a city worthy of preservation. With the world’s highest concentration of Bauhaus buildings (roughly 4000), UNESCO declared the ‘White City’ a World Cultural Heritage site in 2003. The best way to take in these architectural delights is to walk down Rothschild Boulevard; a leafy, somewhat European-style street filled with the aforementioned buildings, coffee shops and pop-up boutiques. Architecture lovers will also adore Bialik Street, the calm within the Tel Aviv storm. Along this quiet street is the former City Hall, now a museum exploring the city’s story, the International School’s Design Museum, famed for its furniture collection, and Bialik House, the home of Israel’s national poet Chaim (or Hayim) Nachman Bialik. Fully restored and air conditioned, this venue is an informative haven in the heat. Tel Aviv, which is home to one of the world’s fastest growing startup communities, also excels on the food front. Serving French pastry and Israeli iced coffee (ice chips with a shot of Italian strength liquid gold), Dallal bakery is a charming bougainvillea- and local-filled haunt worth seeking out. Or for something more refined, Alma Lounge, found within a recently converted 1925 building, now a hotel, offers a delectable degustation-style experience. It puts a spotlight on Israeli fusion cooking and feels like something left over from the Belle Époque. You can keep things sweet and chic by indulging in a full Israeli breakfast (it’s never too early for salad and cous cous) at Eden House, where all things floral, vintage and rather English are embraced. But it’s the ancient port of Jaffa that proves just how diverse (or should that be contradictory?) Israel can be. Found at Tel Aviv’s southern edge, this once bustling area feels a million miles away from the international financial centre that Tel Aviv is today. Not because it lacks verve, but because it is 4000 years old, and it has the atmosphere and attractions to prove it. You can bargain at Jaffa’s flea market, which mixes ridiculous trinkets with covetable antiques, stock up at farmers’ markets found within restored waterfront warehouses, and wander through the Artists’ Quarter, a warren of silversmiths, sculptors and painters hidden amongst cobbled streets and turquoise signage. This is the ideal place to spy young creatives using ancient, time-tested techniques. A kaleidoscope of alleys, towering walls and ancient religious sites, Jerusalem’s Old City is chaotically enthralling. Home to the world’s three major monotheistic religions, the Israeli capital is now made up of four unique yet intertwined cultural quarters that speak volumes about the city’s patchwork history. This place makes everything you’ve read in books suddenly and beautifully real. The best way to discover Jerusalem’s treasures is to get a little lost. Ridiculous as it may sound, I accidentally stumbled upon the holiest venue in Christendom. In the sweltering midday heat I lost my bearings and sought sanctuary in the first open door I could find. This happened to lead into a dimly lit, Romanesque building filled with throngs of wide-eyed travellers. Clearly I’d walked into something significant. It was the Church of the Holy Sepulchre. Widely recognised as the site of Jesus’ crucifixion and resurrection, it is a deeply spiritual space. The tiny crosses carved into its walls by early pilgrims and the well-trodden floor suggest this has always been the case. When lost, rest assured that all roads lead to the Old City’s heart; Temple Mount and the gold covered Dome of the Rock, the world’s most contested religious site. According to tradition, it’s where Abraham was prepared to sacrifice his son to God and Muhammad took his night flight by winged horse. Understandably it’s a rather powerful place. Shaped by invasion and earthquakes, today Temple Mount is filled with a collection of Islamic constructions, such as the 8th-century Al-Aqsa Mosque; an immense and astounding structure that has borne witness to Crusader occupation and remains a site of beauty and devotion. While the architecturally astounding Byzantine-meets-Classical-style Dome of the Rock appears to be untouched by time, all that remains of the biblical First and Second Temple (which were razed by the Neo-Babylonians and the Romans, respectively) is a portion of the latter’s outer retaining wall, known more commonly as the Western or Wailing Wall. I can’t quite explain what this site does to you. Standing among the diverse crowd, many of whom were dressed in their finery to attend the bar mitzvah of two local boys, and gazing at the crevices filled with hand-written prayers on folded paper that, like Jewish holy texts, are buried rather than discarded, I was overwhelmed. Being so close to the wall, a symbol that means so much to so many, while the call to prayer echoed above me and strangers became men, my cynical heart was humbled and the ensuing emotional display was unavoidable. I’m not entirely sure why I cried, the tears seemed to come from nowhere, but I can tell you that it was flawlessly cathartic. Made famous in the Golden Age of Hollywood, when plots were slightly improbable and scores were soaring, Masada is a mountain-top fortress guaranteed to move even the hardest of hearts. Here in AD72, after a two-year siege, it is believed that 967 Jewish rebels chose mass suicide rather than capture by Roman soldiers. Fortified by Herod the Great (despite his paranoia disorder, this king really did manage to leave his mark on Israel) the stunning ruin is infamously scorching in the midday sun. Committed travellers should brave the Snake Path – which, as the name implies, snakes its way up the mountain – and watch as sunrise washes over the Dead Sea and Jordanian Mountains. This experience is nigh on incomparable. Alternatively, stay late, stick to the cable car, and catch the Sound and Light show, which runs from March to October. Temporarily forgotten by history, remote and un-plagued by rain (water only falls for around 10 days a year in the Judean Desert), Masada has been left remarkably intact and from the summit, overlooking a seemingly endless desert, history feels very much alive. The ideal way to recover from the heat of the secluded mountaintop is to take a dip in the super salty Dead Sea. I decided to do as the locals do and cover every inch of myself in mud, which I assumed was more effective than sunscreen, before floating off ever so slightly towards Jordan. While bobbing 427 metres below sea level, I let my mind wander. I thought of the Dead Sea Scrolls, found only a few hills away when a Bedouin boy kicked a stone into a cave and heard pottery smash; and how tempted I was to brave the Israel National Trail, a 1000-kilometre hike stretching from Israel’s northern border to the Gulf of Aqaba in Eilat, an idea quickly discounted. Israel is spectacular throughout the year yet July and August are incredibly hot. Try to avoid Jewish or Christian holidays if you’re travelling to Jerusalem as prices skyrocket. The Rothschild 71 is an elegant home away from home. With spacious, ultra modern suites and friendly staff happy to help you plan your days, it’s as contemporary as the city itself. Within a stone’s throw of the Jaffa Gate, the Mamilla Hotel is chic and luxurious. In summer, the rooftop restaurant and pool are the biggest draws. You could easily tackle Israel solo but day trips with local guides are invaluable. I booked through Shalom Israel Tours and a range of guides who were informative and humorous. • Ascending the Mount of Olives. The view of the Old City, which glows in the afternoon sun, justifies the climb and comical descent down slippery paving stones. • Plunging into the Sea of Galilee (which is actually a small lake) and trying to spot the church at Tabgha, where the biblical Feeding of the 500 is said to have taken place. • Shopping on Tel Aviv’s Shabazi Street, which is filled with local artisans keen to chat about their wares and the world. The country’s ability to defy expectations. It’s beautiful, friendly, safe and difficult to leave. Sunburn. Wear anything less than factor 50 and you’ll be in trouble. • During Shabbat (sundown on Friday until Saturday evening), bus and train services shut down. Taxis are expensive; plan ahead. • While dress code isn’t a problem (most people on the Tel Aviv promenade are shirtless in summer), religious sites require you to dress appropriately: knees and shoulders covered for both men and women.